Welcome to My Candy Harem. The colors and graphics are awesome! 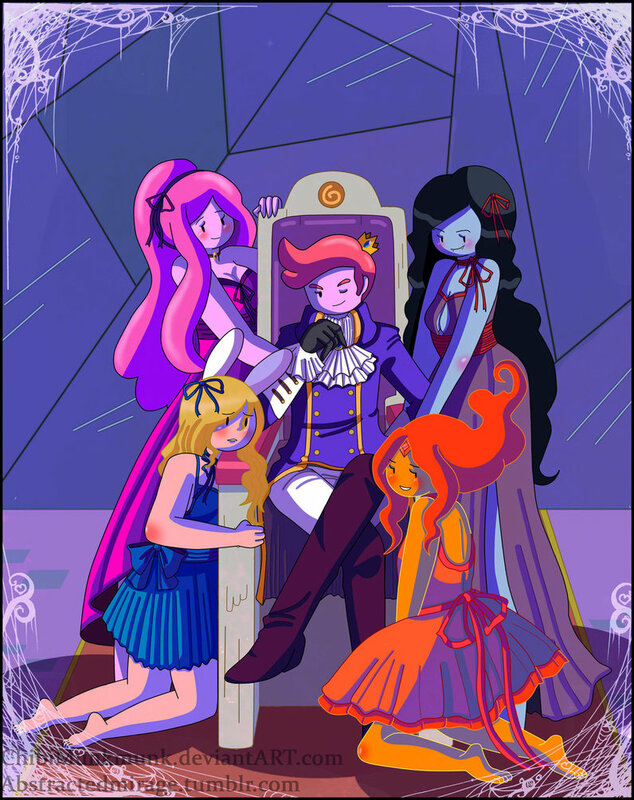 And I love the fact that it's Gumball, who some people think is gay because his pink, who's surrounded by the girls. Instead of Finn and Marshall Lee. It's Vocaloid-related *cough* emerald_32 *cough* xD. HD Wallpaper and background images in the Adventure Time With Finn and Jake club tagged: adventure time prince gumball marceline princess bubblegum fionna flame princess.